I often find myself singing along with the radio without even paying attention to the message of the song. There is a secular song called “I Pray for You” which has such a catchy tune that I was singing along without realizing it is actually a prayer of revenge. Some of the lyrics say, “I pray your brakes go out driving down a hill. I pray a flowerpot falls from a windowsill and knocks you in the head like I’d like to.” I think many of us have suffered a break up or some other life event that made us feel or even say similar words. Believe it or not, there are scriptures in Psalms which would fit perfectly in this song. Psalms 109:10-11 says, “May his children be wandering beggars; may they be driven from their ruined homes. May a creditor seize all he has.” These verses are a revenge prayer spoken by David. In his prayer, David was brutally honest with God about his anger and how he wanted his enemies punished. Is it acceptable for us to pray for revenge? David’s prayer may sound shocking coming from a man of God, but his actions were actually the best way to handle the situation. Anger may cause us to behave irrationally or make shocking statements, but who better than God to express those feelings to? David did not take action against the enemy himself but instead prayed voicing his anger to God. When we become angry, we need to follow David’s example and pray. Being honest with God will help us to let go of the desire to seek revenge. David also did not voice his anger to others. Often we vent to a friend which makes us feel better but may leave the friend wanting to seek revenge on our behalf. 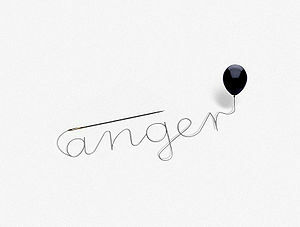 Sharing our anger can have a ripple effect as others become angry. God is just and can handle our anger without lashing out as friends may. He is not a genie in a bottle that hears our request, says “your wish is my command”, and grants whatever we ask regardless of how it will affect us and others. Instead He is “slow to get angry, full of unfailing love and truth” (Psalms 86:15). There are many instructions in the bible about anger. Ephesians 4:25 says, “In your anger do not sin: Do not let the sun go down while you are still angry.” The issue is not whether anger is appropriate, but instead how we deal with anger. Matthew 5:44 says, “Love your enemies and pray for those who persecute you.” By praying for those who make us angry instead of reacting; we are able to express God’s love as we turn the other cheek. Proverbs 29:11 says, “A fool gives full vent to anger, but a wise man keeps himself under control.” It takes a lot of restraint for us to keep ourselves under control when we are angry. It is better for us to pray honestly to God about our anger as seen in the song and David’s prayer than to seek revenge ourselves.